The spending plan introduced in Congress Wednesday includes $641 million for border wall construction in the Rio Grande Valley and $1.6 billion for border enforcement. While the proposed budget prohibits funding new border wall designs, such as Trump’s prototypes, it authorizes construction of approximately 33 additional miles of border walls on public and private lands in the coming months, without any meaningful environmental review. The first planned sections of the Trump border wall would tear through public lands, ranchlands, national historic sites and the National Butterfly Center in the Rio Grande Valley. Congress only spared the Santa Ana National Wildlife Refuge from these destructive construction activities. A recent study by the Center identified more than 90 endangered or threatened species that would be threatened by wall construction along the 2,000-mile U.S.-Mexico border. 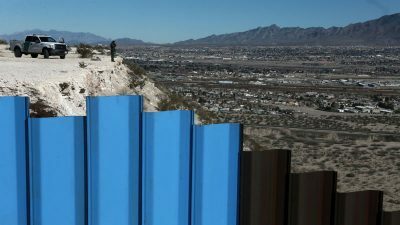 The Center filed the first lawsuit against Trump’s border wall, and will appeal a recent ruling in a separate lawsuit that challenges the Trump administration’s waiver of dozens of environmental laws to replace border walls near San Diego. The Trump administration is expected to set aside these same laws to speed construction of border barriers in Texas.